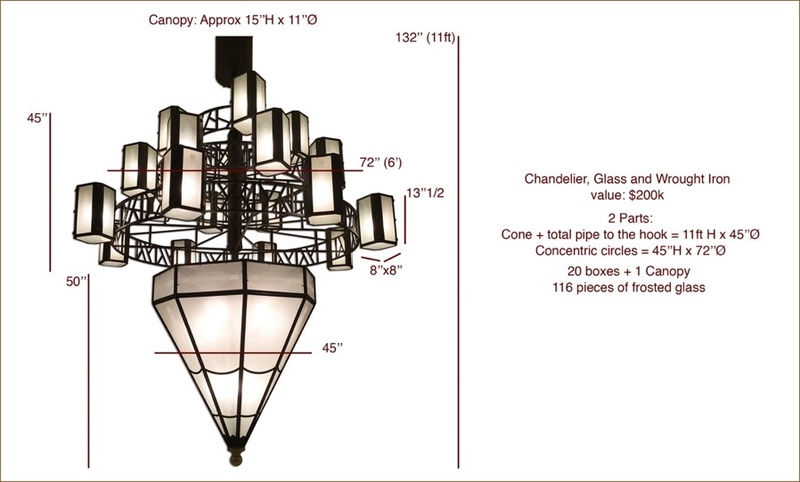 At Goodman Packing & Shipping, we are specialists at packing and shipping chandeliers. Decades of experience and expertise in packing and crating mean that chandeliers, art glass and furniture arrive safely. Because we ship a lot of high value items for galleries, dealers and artists, we can pass along the best rates for shipment and insurance coverage to our customers along with top-shelf service. We offer full value insurance, up to any amount of coverage. Email us or call us at 323-642-9000 for a quote. We will be glad to give you a quote or provide the help you need to get your item packed and shipped. Image Galleries of some Chandeliers and art glass we've packed and shipped. We also ship art, furniture, antiques, collectibles and more!